The 2019 PASCAL XVIth Conference from 16-19 October 2019, will have a focus on adult/lifelong learning place-making and cohesion. This three-day international conference will bring together scholars and practitioners who develop learning opportunities in community settings. We are pleased to announce the appointment, within the School of Education at the University of Glasgow, of Professor Ellen Boeren as Professor of Adult Education and Deputy Director of Research, from 1 July 2019. The catalyst funded AoC Scholarship Project is pleased to announce that it will be holding its 5th annual HE Research and Scholarship Conference. The conferences will be held in the North (Newcastle College University Centre) and South (Morley College, London). 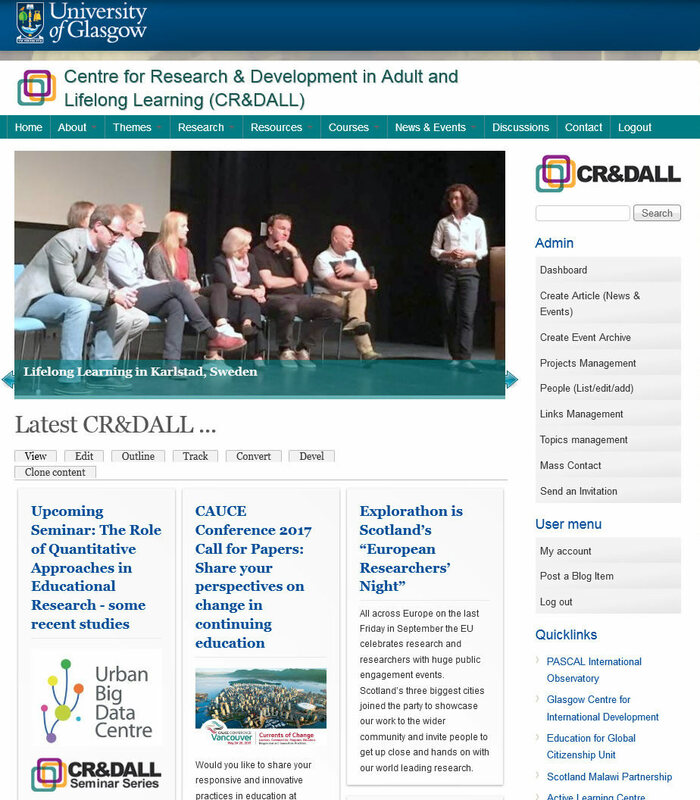 The CR&DALL site is followed by a select group of practitioners, researchers and students around the world who are interested in all aspects of lifelong learning. You are invited to submit items of interest to CR&DALL subscribers by emailing our submissions team. Copyright © 2019 CR&DALL, School of Education, University of Glasgow, All rights reserved.